We always have this notion that going to a doctor to have oneself checked is scary. Even dentists are not spared from what people usually think about going to a dental clinic, and sitting in a dental chair. A dentist like any other practitioner always have in their mind the welfare of his patient. He will do with his utmost knowledge and diligence in performing a check-up or any dental procedure. Dentists are there in order to help anyone on how to take care of their teeth and how to solve any tooth problem like rotten tooth or when there is a need for tooth extraction. To give you an overview as to what are the various services a dental clinic has to offer to patients, read on. 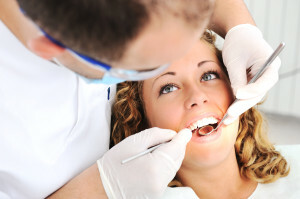 The most common ones that patients do have are extractions, filings and repairs. These are the procedures that people go for especially if they have a rotten tooth and want it repaired. The procedures become a necessity to cure a dental problem, particularly a tooth problem. On the other hand teeth whitening can be very costly. Thus, not a lot of people undergo this procedure. It may cost a few hundreds of dollars or even a thousand. The cost depends on other factors. Although, teeth whitening is not a must procedure yet people want to undergo through such in order to have a pearly white smile. People whose jobs are more about talking to people, press relations, or facing the camera are the ones who undergo teeth whitening most of the time. Always remember, before you even attempt to go to that dental chair and have a procedure done on you, make sure you have consulted with a dentist, ask for clarifications if any, and know what to expect during and after the procedure is done. Also, do not forget to ask how much would it cost you.